In this project space we are looking for post shoping shop solutions for vacant ground floors in towns. 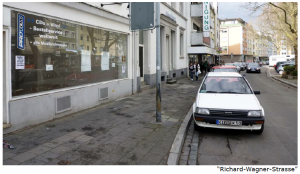 Activation of vacant shops and repurposing them for the needs of citizens is a contemporary challenge. The call is open to anyone, who has ideas to activate vacancies. Shops host different uses and have a key role in urban life, acting as an intersection point for the meeting of public and private spheres. For some, it’s a showroom, for others it’s a workplace, a place to communicate, a place to be, a place to shop or simply something to look at. Whatever their utilization purpose is, they help make the cityscape distinguishable. Some shops randomly come to be hip while others die away. In their presence, new concepts are tested; some are accepted while others are rejected. This ongoing process makes shops the most vital and interesting areas of a city. Acting as a catalyst, the permanent change of society and the expectations of its citizens lead to an endless transformation process. Somehow they represent the reflection of actual trends in our lives. Like experiments in laboratories, the success or breakdown of business ideas are on public display. And this battle is a major component of a lively city. After all, the visual look of shopping streets has been going through significant changes in recent times. City centres are forced to compete with shopping malls and Internet shopping. The situation has become quite delicate in most peripheral areas. As the concept of shopping transformed into a lifestyle, mobile citizens turned to other shopping possibilities, ignoring opportunities next door, leaving ground floors of whole residential areas vacant. As a result of this shift, shops were forced into trading down or even shutting down. The case is new tenants and users can’t be found, and these spaces run into the danger of decaying over time. Even though per person sale square footage is increasing statistically, and Germany remains to be one of Europe’s most vibrant selling economies, the amount and number of retailers continue to shrink on a consistent basis. This causes an enormous change in the structure of the urban society and will affect the future of the society. Regardless of that fact, landlords continue to demand high rents like they did in the past, and no one seems to realize that these areas can’t be operated with the development of common concepts. With the disappearance of shops, the vitality and variety of European streets is lost as well. Desolateness replaces the exchange between public and private spheres, and big spaces occupying neighbourhood centres along with their potential, remains unused. 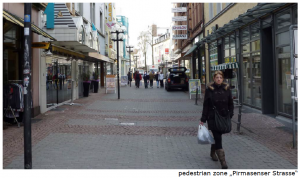 Kaiserslautern, a city in structural change and with 95.000 citizens, is a typical example for this tendency. Despite being the centre for the region, it has not been able to find the dynamic to help reoccupy unused stores. Lots of shops of the peripheral areas of pedestrian zones have been empty for months or, in some cases, for years and are not even utilized as bargain shops any more. As a consequence the inner city looses its appeal. 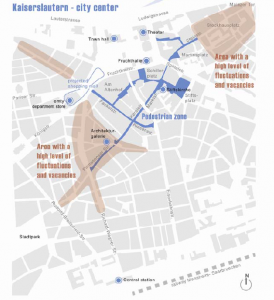 Currently, the municipality is searching for a development concept and maintain the functioning city centre. A huge shopping mall is projected at the inner city to improve the situation. But it’s uncertain if this attempt will be enough to fill empty store buildings. Public debate around this topic has yielded very few, if any results. The city seems to be losing ground against the neighbouring bigger cities of the region. Even tough the provincial character is loved by its citizens, neighbouring cities have become the choice for work and shopping. This has led to a lack of innovation, creativity and cultural variety within the city borders. 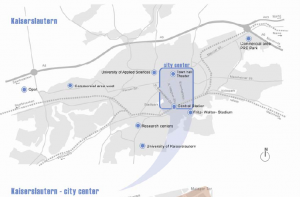 On the other hand the city plays host to an almost „invisible“ big University, a university of applied science, various master classes and many noted research institutions, which complain about not having enough space for creative concepts. A merge with this creative potential might result in a new usage concept for vacant spaces. Besides, vacant spaces can help make development possible. Since urban open spaces have eliminated old concepts, which don’t work. Those concepts are forced to undergo an innovative and creative change and the areas can be filled with new ideas and concepts. 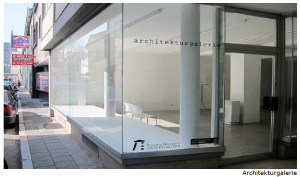 The key elements for the project space is the need of a local team for international input. We met the MESS team in our previous project space in Venice, where we were informed about the vacant shops in Kaiserslautern. In the last months of 2010 we put together the topic and launched an international call for ideas. Everyone was allowed to enter their ideas, how empty shops should be repurposed and how they could benefit the citizens. The call received a big response and we like the entries so much, that we exhibited them all in the local architecture gallery, where also the open workshop took place. The actual workshop hosted the selected teams. They got the chance to work localy in the case study of Kaiserslautern. Also local acteurs and students joint the workshop. From kick off lectures to final presentation, it was a very intense and enjoyable workshop. APPLY now for a project space and get international input to develop your topic further in a workshop.